This time I tried two tiles and used washi tape to hold them together at the back while I inked and stamped. 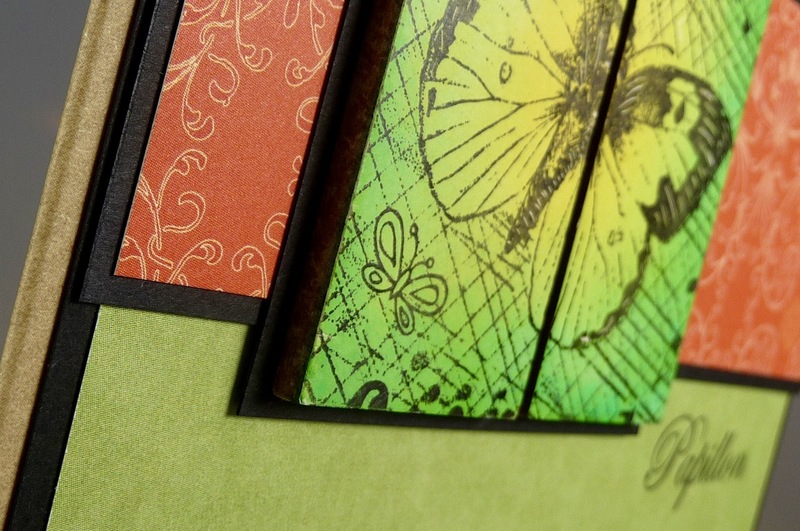 I used a mix of four Distress Inks to colour the tiles before stamping (I think it's a Hero Arts stamp but could be wrong). The Distress Inks gave a much more vivid, intense colour than the Colour Cloud Blending Inks but the Colour Cloud went on much smoother. The problem with the Distress Inks is that because the tile has depth to it you can't slide the applicator tool off a silicone sheet on to the tile like you would with a flat piece of card. The Papillon sentiment is from a JustRite set. After stamping the tiles I took the washi tape off and separated them a little before mounting. 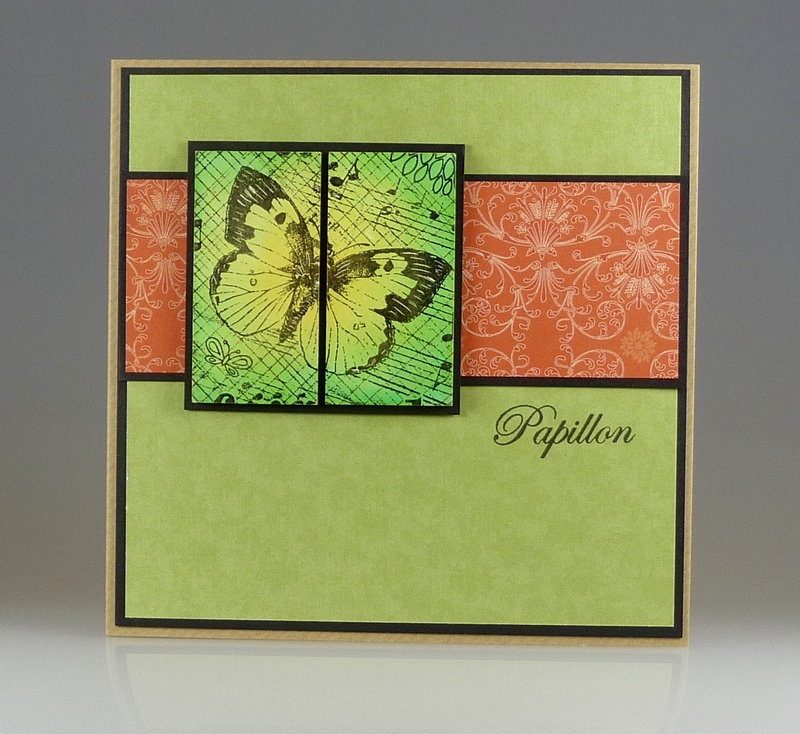 love the green/orange combo, and your use of Stampbord. I've got loads of it from the shop, but not ever done anything with it. You've inspired me to dig it out and maybe give it a go.